In the past few days, Turkish air strikes have been launched against Afrin, a Kurdish region in Northern Syria, killing and wounding several civilians. This Turkish military operation is taking place without any provocation or attack by either Kurds in this region, or by Syria. The European signatories of this declaration urge the European Commission and the Member States to redouble their political efforts to demand that Turkey immediately stops its military offensive. We also request the urgent reactivation of the dialogue in the framework of the Geneva talks on Syria, involving all parties, including the Kurds. We further recognise that the fight of the Kurds in the front line against Daesh also contributes to European security. The destabilisation that Turkey’s attack will cause in this area seriously threatens the security of the entire region. The silence or equidistance of the European Union and the international community is not an option. 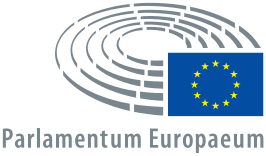 We, the undersigned MEPs, call on the EU and the UN to take action in order for these attacks to stop immediately.